O.B. 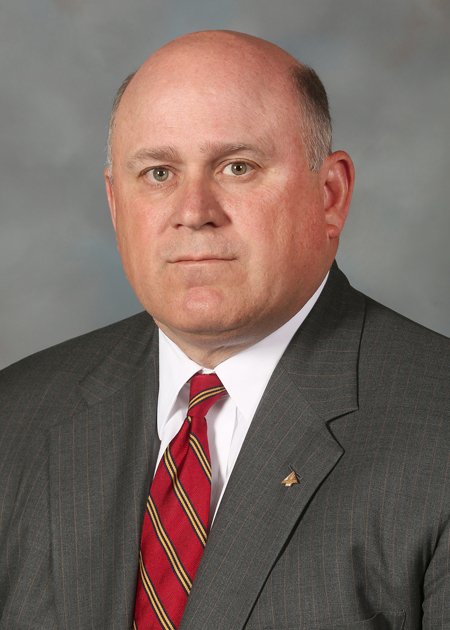 Grayson Hall, Jr., retired chairman and CEO of Regions Financial Corporation, has been elected to the board of directors of Great Southern Wood Holdings, Inc.
Hall spent 38 years in banking beginning his career when he joined Regions’ Management Training Program in 1980. He served in roles of increasing responsibility in operations, technology, consumer banking, commercial banking and wealth management. Hall was elected vice chairman and a member of the boards of directors of Regions Financial Corporation and Regions Bank in 2008 and was named president and chief operating officer in October 2009. He was named president and chief executive officer in April 2010 and assumed the role of chairman, president and chief executive officer in May 2013. In December 2017, he became chairman and chief executive officer. On July 2, 2018, he became executive chairman. He retired from Regions and from the board at the end of 2018. Hall graduated from the University of the South, Sewanee, Tennessee, with a bachelor’s degree in economics and received a master’s degree in business administration from the University of Alabama, Tuscaloosa, Alabama. He attended Stonier Graduate School of Banking and executive development programs at Harvard Business School. Hall serves on the public company board of Vulcan Materials. In addition, he serves on the boards of Alabama Power, the Newcomen Society of Alabama, and as a Trustee of the Crimson Tide Foundation. He previously served on the boards of the Birmingham Business Alliance, the Economic Development Partnership of Alabama, and as a representative on the Federal Advisory Council of the Federal Reserve Board of Governors 2014 – 2016. He served on the board of the Federal Reserve Bank of Atlanta 2017 – 2018. Great Southern Wood Holdings, Inc., is the parent company of Great Southern Wood Preserving, Incorporated, the nation’s leading producer of pressure treated pine lumber for residential, farm, commercial and industrial uses. The company is headquartered in Abbeville, Alabama. It and its subsidiaries have plants located in Mobile, Alabama; Muscle Shoals, Alabama; Brookhaven, Mississippi; Glenwood, Arkansas; Columbus, Texas; Buckner, Missouri; Conyers, Georgia; Jesup, Georgia; Mansura, Louisiana; Bushnell, Florida; Rocky Mount, VA; Hagerstown, MD; and Fombell, PA; and Gatesville, NC. For information about Great Southern, call 334-585-2291 or visit http://www.yellawood.com. Grayson HallFormer Regions Chief joins Great Southern Wood board of directors.